As the wife of a naval aviator in sunny Pensacola, Florida, Liv Tulley eagerly anticipates the first Christmas in several years with her husband, daughter, and extended family. Then her husband is unexpectedly deployed for an undetermined amount of time, smashing her white Christmas dreams. 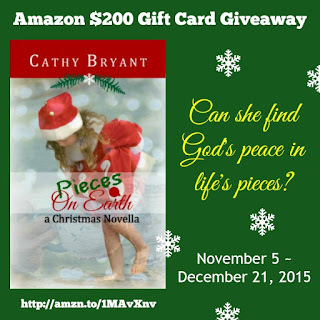 Can she find God's peace in the midst of life's pieces? Liv finished filling out the necessary paperwork in the medical clinic waiting room, doing her best to keep her fears at bay. She rose to her feet and carried the clipboard with the completed paperwork to the receptionist. The harried woman took the clipboard without so much as a glance her way. "Have a seat. A nurse will call you back momentarily." Liv trudged back to the worn gray chairs and slumped into one of them, once more cognizant of her reason for being here. October marked her second month without her period. For most women her age, that would be a sign of promising things to come, but no such luck in her case. She'd known since her daughter's birth that having more children just wasn't in the cards for her. A fact that made Chesney's life even more miraculous. She gnawed the inside of her lip and watched a little boy--probably about two years old--playing in the floor with a toy car. Without warning, the fear returned, bringing with it only one thought. Was it possible that she'd somehow inherited the gene that lead to the ovarian cancer that claimed her grandmother's life? Was that the reason for her current symptoms? Liv pressed her lips together and forced her thoughts to happier ones. How wonderful it would be to add a fourth member to their clan. Chesney would make such a great big sister, and Jeff would be ecstatic to have another child. Since being promoted to lieutenant a few months ago, he had qualified for a stateside assignment as an instructor pilot at Pensacola NAS. How wonderful would it be to be able to raise a child with his or her parent actually around to help out? Even the few short months of having her daddy at home had made a huge difference in Chesney. A pent-up sigh whooshed from her lungs. This current line of thought was landing her nowhere except in the dumps. There wouldn't be another baby. 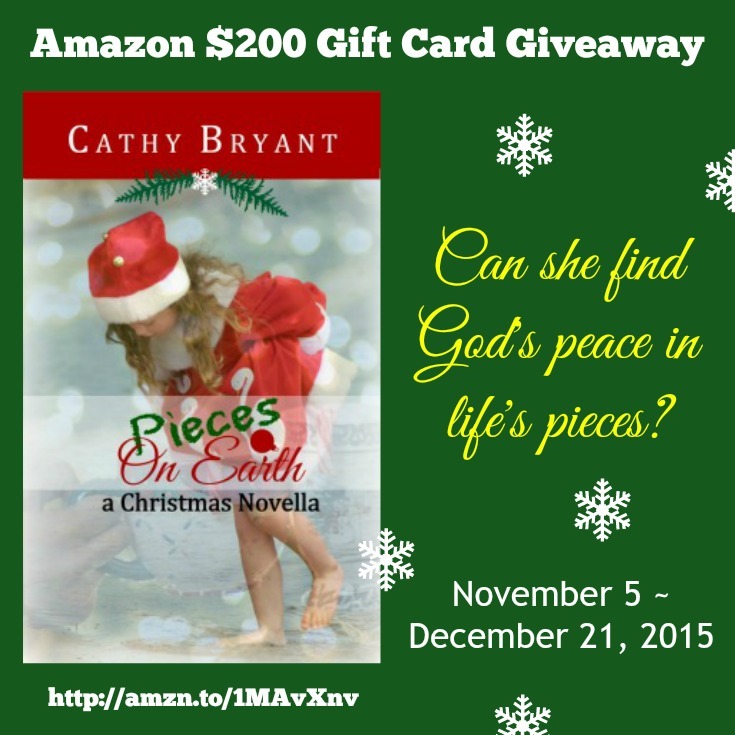 She grabbed her large sack of a purse and rummaged inside until she found an old envelope. Forcing the baby blues away, she started a to-do list of things to accomplish for her family's first Christmas together since before Chesney was born. Get the Christmas shopping done. Well, that was a no-brainer. But this year it was especially important, since they'd also be buying gifts for nieces, nephews, siblings, aunts, and uncles. How fun it would be to have both sides of the family all together again in the mountain cabin vacation rental her mother had located online. Now happy thoughts wound their way through her insides. Liv leaned her head back against the Plexiglas partition and allowed the happiness to wander unchecked. Warm sweaters, cups of cocoa, a gigantic tree stuffed with presents, laughter of loved ones, and fluffy white snow. Though she loved the sunny weather of Pensacola where Jeff was stationed, during the holidays she always yearned for the cold weather and snow of her Colorado upbringing. This year it would finally become a reality. She straightened in her seat, checked the clock above the receptionist window, and returned to her list. Buy Chesney some cold weather clothing. Hmm, maybe she could order a ski bib online, since there was very little to no chance that she'd find one in Pensacola. One thought led to another, and Liv scribbled as quickly as possible, unwilling to let even the smallest detail escape. 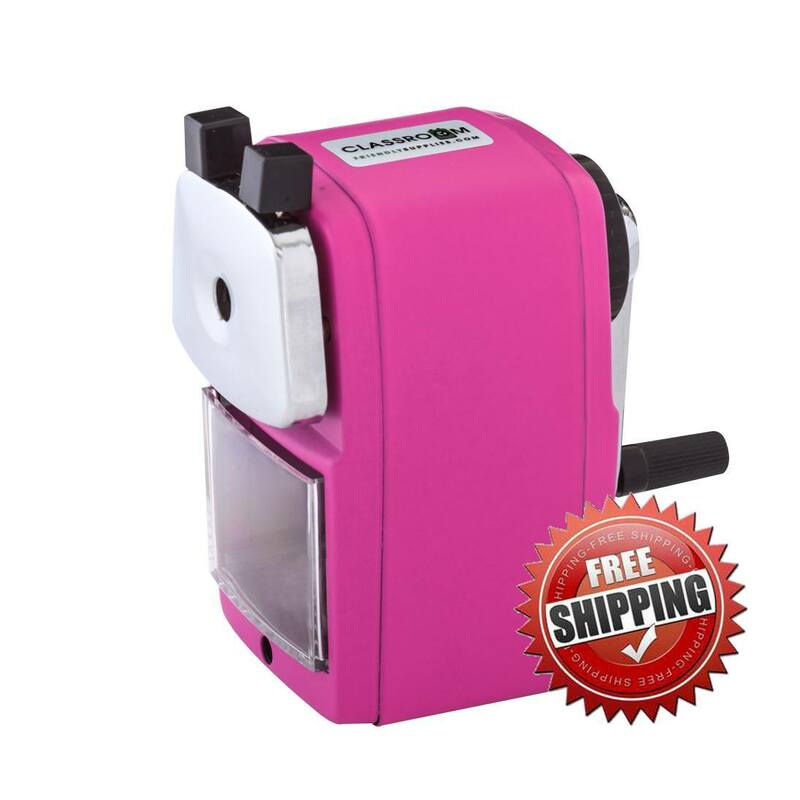 A few minutes later, she brushed some escaped frizzy hair from her face and once more scanned her list. Yeah, that should do it. Now if she could just get these health concerns out of the way so she could concentrate on more pleasant tasks. Liv glanced at the clock once more. Unbelievable. She'd been here for a half hour already. At this rate, she'd never make it to Chesney's preschool in time to pick her up. She grabbed her cell phone and hit speed dial for Darcy, one of many military wives in her group who all looked out for each other. Her friend picked up immediately. "Hi Liv. What's up?" Darcy's contagious giggle sounded through the phone. "Let me guess. You're still waiting to see the doctor." "Umm, 'cause I've been there and done that. Need me to pick up Ches?" "Yeah, if you don't mind. And if a miracle occurs and I get out of here in time, I'll shoot you a text." Liv had just dropped the phone back into her purse, when a short blond nurse in pink scrubs called her name from the doorway that lead to the exam rooms. She followed the nurse through the door where the dreaded scales awaited. After getting off the scales, fresh resolve took root in Liv's mind to cut back on carbs and lose those ten extra pounds that had plagued her since Chesney was born. Four years was way too long to lug around the unwanted weight. She followed the woman down the hallway and dutifully entered the room to which she motioned. The nurse smiled and pulled the door toward the closed position. "Dr. Amy will be with you soon." Liv perched on the edge of the exam table, once more on pins and needles about the potential problem. Lord, please let me be okay, and please, please, please, don't let this affect our Christmas plans. 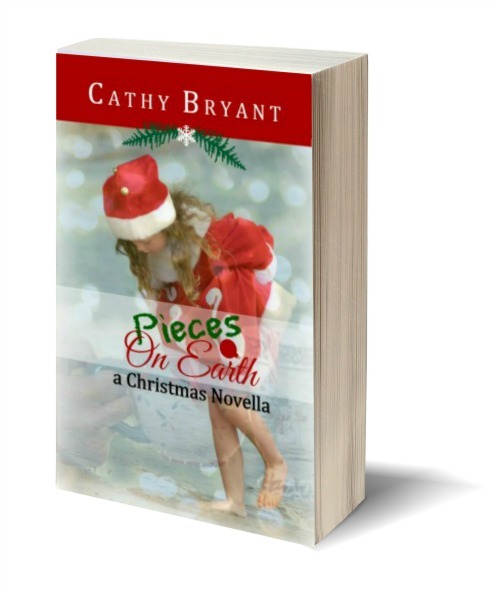 Amazon best-selling author Cathy Bryant loves to write heart-stirring stories of God's life-changing grace, and has done so through six Miller's Creek novels, two Bible studies, one Christmas novella, and two devotional books written in collaboration with other Christian authors. She's also written for The Upper Room devotional magazine. When she's not writing, you'll find her rummaging through thrift stores, romping in the great outdoors, or up to her elbows in yet another home improvement project in the mountain cabin she shares with her minister husband of over thirty years. 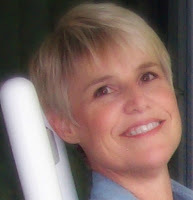 You can connect with Cathy in the following online spots, including her website: http://www.CatBryant.com, where you can download a free eBook copy of one of her novels.